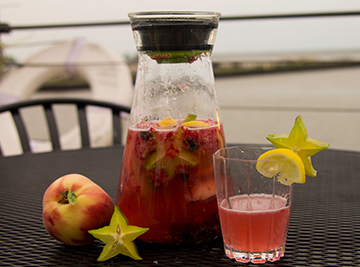 Celebrate in style this Fourth of July by adding a few sparks to the drink selection with a colorful sangria recipe. 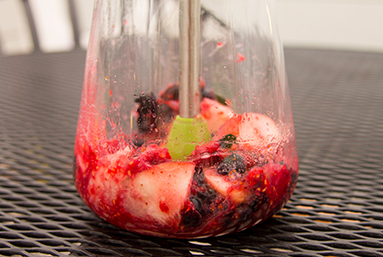 Originating from Spain, sangria is typically just a few basic ingredients - wine, sugar, fruit, and sometimes a splash of brandy or other liquor. Since reaching the states, this simple recipe has been adapted time and time again with hundreds of variations. Ranging from blood red for Halloween to bright green for St. Patrick’s Day, every holiday seems to have its own collection of appropriately themed and appropriately colored sangrias. So now comes the challenge: Independence Day. 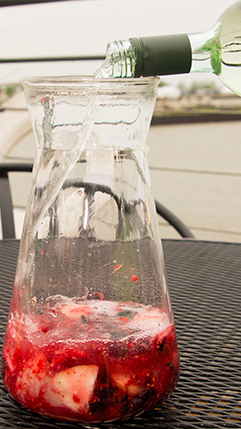 We used the Zing 54 carafe as our container, to make sure we got as much flavor as possible! 1. 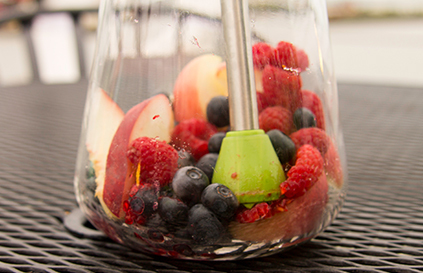 Slice peach and add to carafe then add red raspberries and blueberries. Muddle ingredients well to release flavor. 5. 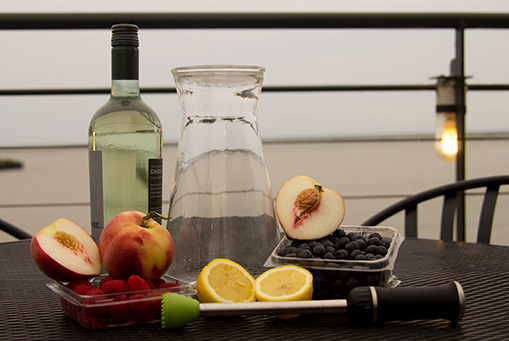 Garnish glasses with lemon or star fruit. 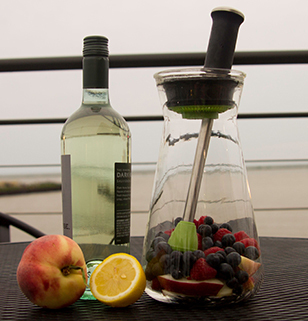 Stir, pour, and enjoy!